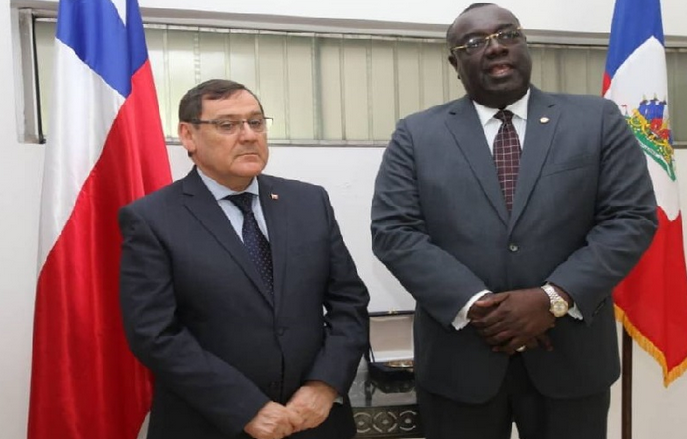 Chile’s ambassador to Haitihas been attacked by armed men in a Haitian village during a visit to a clean water initiative. Chilean police assigned to protect Utreras used their service weapons to repel the assault, forcing the attackers to flee, according to a statementfrom the Chilean foreign ministry. Authoritiesare reportedly investigating the attack, which has no apparent motive. Conflicting reports emerged regarding fatalities and injuries, with Chile’s foreign ministry saying a Fundacion America Solidaria worker had been killed, and the group itself assuringvolunteers’ families that “everyone is fine”. Utreras’ driver suffered a bullet wound to his wrist, the ministry said, adding that all those involved in the incident were taken to a health centre to be evaluated. Fundacion America Solidaria said in a statementthat one of its drivers, Frantz Eliancin, was missing, and that – along with Utreras’ driver – one of its team members had also suffered a minor injury. The statement also listed Andy Blaise, an engineer with Proyecto Universal, an organisation that deals with infrastructure and agricultural problems, and Abner Cejuste, a member of Haiti’s National Directorate of Drinking Water and Sanitation as missing. Fundacion America Solidaria said that all Chilean, Colombian and Mexican volunteers in Haiti are “completely safe”, providing a list of volunteers that attended the event, which included Haitians. Wednesday’s attack comes amid a deteriorating security situation in Haiti, which has seen weeks of deadly protests.